We are looking for an experienced baker to join our small team. We make a range of sourdough, viennoiserie and cakes. 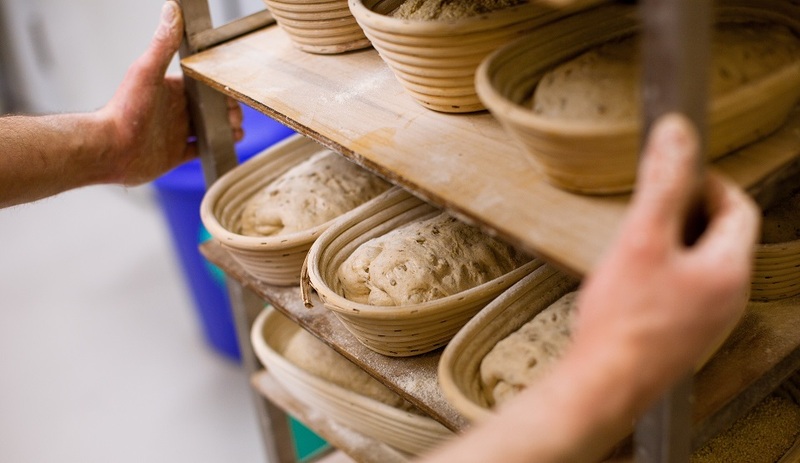 Using a slow overnight retard for all our bread and pastries we have developed a rhythm that allows for sociable working hours, products fresh from the oven when we open and a connection with customers as they are able to see the whole process. You should have experience in a similar role with a knowledge and passion for baking artisan bread, pastries and cakes. You will be familiar with mixing, shaping and baking a range of breads and experience with laminated products. As a team of just 3 full time bakers, roles are shared and rotated meaning plenty of variety and scope to bring new ideas. As part of a small team you will need to be able to work independently, efficiently and share responsibility for the smooth running of the bakery. Quality is at the heart of what we do – you should have great attention to detail and be always striving to improve products and processes. There will be ample opportunity for your creative input in developing new products. The bakery is a fun and fast-paced place to work. You will be joining a friendly team of passionate people, who also inspire and help to create regular events around food, art, community and business.